Located adjacent to Gowing’s Swamp and in the heart of hundreds of acres of community open space, the Playscape at Ripley is uniquely positioned to reconnect children to these natural surroundings through hands-on experiences, in intimate and wondrous ways that will help to promote current and future environmental stewardship. The Playscape will include a woodland path that will connect with a historic cart path leading to the Sudbury Valley Trustee's entrance to the loop trail around Gowing's Swamp. This will allow for more direct community access to this local ecological treasure. Part of the Playscape construction process also provides for removing invasive plants and creating a woodland and hedgerow landscaped solely with native plants. For a list of specific Playscape features that have been designed to make children aware of their natural environment, please visit our Key Features page. 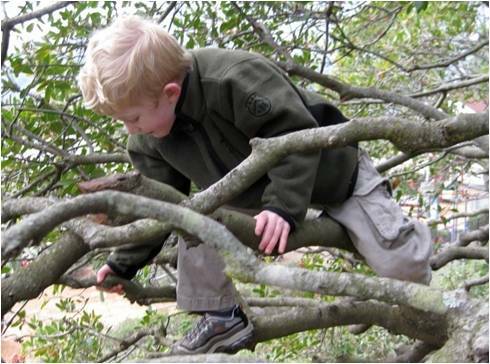 Children are born with a sense of wonder and an affinity for nature. Properly cultivated, these values can mature into ecological literacy, and eventually into sustainable patterns of living.